A HUGE thank you to those of you who were able to donate food at our U-ACCESS Food Drive. Our current count is 685 items plus whatever items we may get tomorrow at the MAP MOST Conference. So really- a huge huge thank you. Supply Management for Services with Eliot Madow, CPSM: 10.4.16, 5pm-6pm- Check out this flier for more information. Please contact mapcm@umb.edu with any questions. 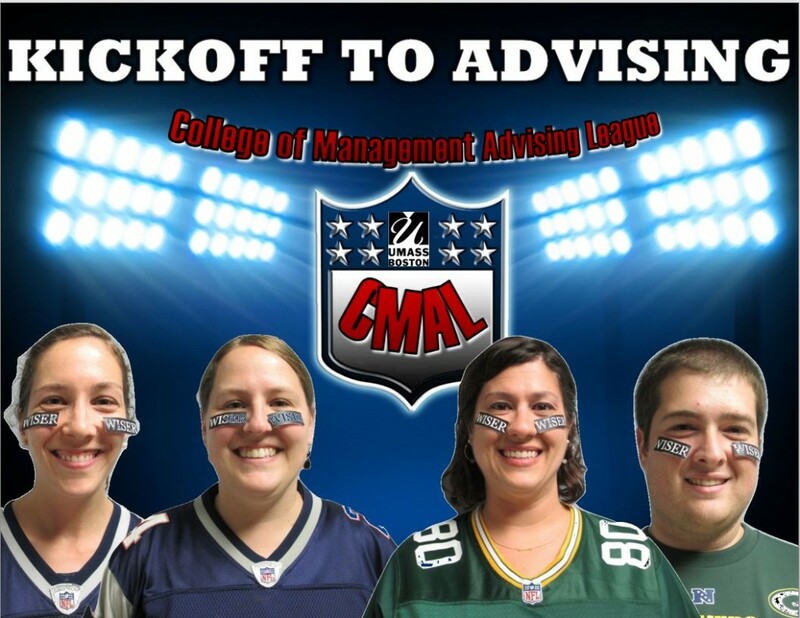 Meet with an advisor in the College of Management 10/3—10/7 to get a start on planning for spring 2017 registration AND take home some CM swag! Our KICK OFF gift to you is all day drop-in advising on 10/3. CM Students with less than 60 credits should plan to meet with their advisor in the University Advising Center about Spring 2017 Registration! The Undergraduate Program Office will be hosting a food drive for the U-ACCESS Food Pantry starting 9/26/16 and culminating at the MOST Conference on 10/1/16. 9/30/16 will be the last day to donate food in the Undergraduate Program Office. The purpose of the U-ACCESS Food Pantry is to supplement the food supply for any UMass Boston students who may be experiencing hunger and struggling to buy food. Please see the attached flier for more information on how to earn a MAP mile for donating at least five items. If you are a student who has utilized U-ACCESS, you will gain access to the MAP mile via the U-ACCESS office in a confidential manner. You are invited by the Presentation Club! Please join us for the first in a series of presentation workshops. Students interested in improving their presentation skills by practicing. Students interested in becoming comfortable while facing an audience. Students interested in discussing presentation best practices. There will be a series of meetings throughout the semester. I am looking for one or two students to help host future meetings. If you are interested in this initiative or have other general questions please contact thiago.nascimento001@umb.edu for further information. Business, Accounting, & Finance Career Expo: 9.27.16, 3pm-6pm- This event is worth two miles and you do not need to stay the entire time. To earn MAP credit, be sure to check out with a CM staff member before you leave to talk about your experience at the Career Fair. Work Authorization for International Students: 9.28.16, 2pm-3pm- This event is for international students only. RSVP for the Business, Accounting, & Finance Career Expo on 9/27/16 from 3pm-6pm at https://www.myinterfase.com/umb/student/. Before you leave the Career Fair, be sure to check out with a CM staff member to earn 2 MAP miles! See below for lots of great MAP events coming up! Feel free to email mapcm@umb.edu with any questions and have a great weekend! Please check out these MAP events for this week- don’t forget to RSVP by clicking the link. You’ll need to sign in to the MAP portal with your WISER username and password. Please check out these MAP events for next week- don’t forget to RSVP by clicking the link. You’ll need to sign in to the MAP portal with your WISER username and password. Enjoy the long weekend and good luck your first week of class!